We have designed this book primarily for the business school student or marketing manager, who, with minimal background and technical training, must understand and employ the basic tools and models associated with Marketing Analytics and Engineering. The 21st-century business environment demands more analysis and rigor in marketing decision making. Increasingly, marketing decision making resembles design engineering—putting together concepts, data, analyses, and simulations to learn about the marketplace and to design effective marketing plans. While many view traditional marketing as art and some as science, modern marketing increasingly looks like engineering (that is, combining art and science to solve specific problems). 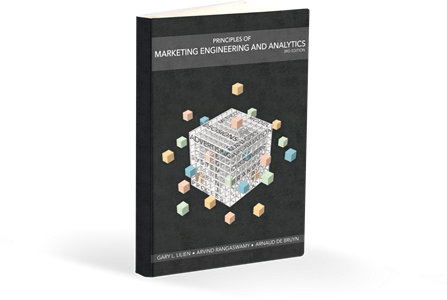 Principles of Marketing Engineering and Analytics offers an accessible overview of the most widely used marketing engineering concepts and tools. Using these principles you uncover how they drive the collection of the right data and information to perform the right analyses to make better marketing plans, better product designs, and better marketing decisions. The latest edition includes up-to-date examples and references as well as a new chapter on the digital online revolution in marketing and its implications for online advertising. 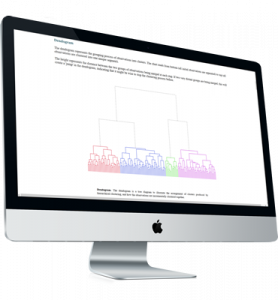 In addition, the edition now incorporates some basic financial concepts (ROI, Breakeven Analysis, and Opportunity Cost) and other tools essential to the new domain of marketing analytics. 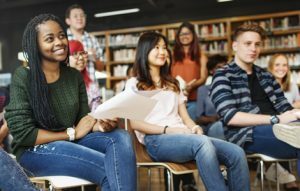 Undergraduate or graduate-level business school students or managers with limited background or technical training in marketing engineering, marketing analytics or statistics. Students may purchase printed copies of the text directly from numerous online channels such as Amazon. University bookstores (or instructors) may purchase discounted copies of the texts directly from DecisionPro for resell or distribution to students. When purchasing an Enginius software license, you may include chapters of the textbook in the package. These chapters become downloadable directly from the Enginius dashboard in pdf format. Note: registered, confirmed instructors have automatically access to a complimentary copy of Principles of Marketing Engineering and Analytics 3rd edition, in electronic format. 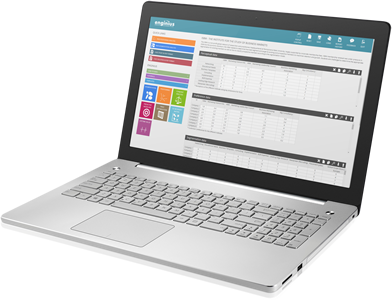 Simply login to the Enginius dashboard, select your instructor license (one is created automatically for all registered instructors), and download the chapters that are of interest to you directly from the dashboard.